West Coast Limousine is based in San Jose, California and has served the community since 1987. Our Sedans, Limousines, Vans and Buses are clean, comfortable and luxurious. Our drivers are professional, courteous, knowledgeable and trained to make every trip a special occasion. No matter what the occasion...graduation, prom, wedding, a night out on the town, a trip to the wine county...we want our customers to arrive in the style that they deserve. By choosing West Coast Limousine, you sit back, relax, and leave the driving to us. 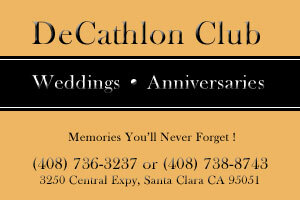 Check Out Our Special Wedding Rates!